Vic 69 is one of the more ‘interesting’ 2 digit heritage plates. 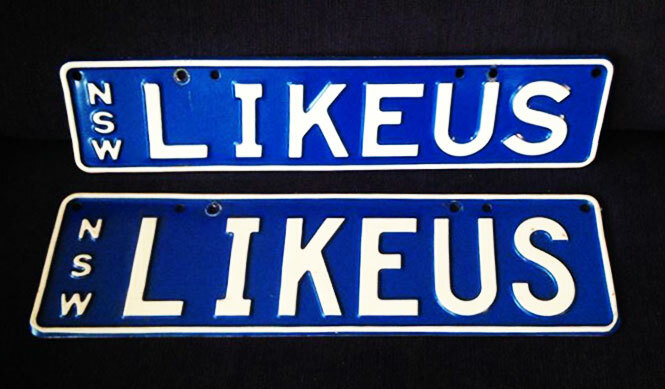 According to a report in The Age in 2007, the plate sold for $40,000 sometime prior to 2007. Today it’s value would be well into six-figure territory. “While we are recalling things, the plate mentioned earlier (# 69) sold to the current owner for early $30k’s if I am not mistaken. Big win. “But prestige car dealer Nick Theodossi, who has traded more than 50 plates, said some were more difficult to move than others. “I had VIC 69 for more than two years and probably received 200 phone calls,” Mr Theodossi said. If you have more photos or information on Vic 69 we’d love to hear from you.